T he Museum is proud to host The National Stagecoach & Freight-Wagon Association during their 11th Annual Conference meeting in Arizona March 15-18th, 2018. 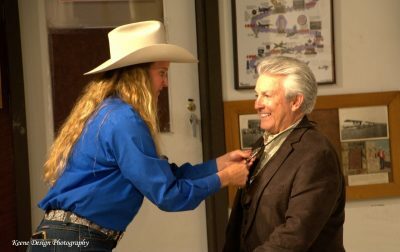 On Friday, March 16, the Tucson Rodeo Parade Museum will have the Association in the Museum. To register for this event, please see the below documents. 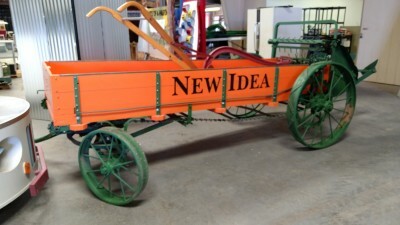 The Parade Museum has acquired many of the farm and ranch implements previously owned by POWER FROM THE PAST, and are building new displays to accommodate them. 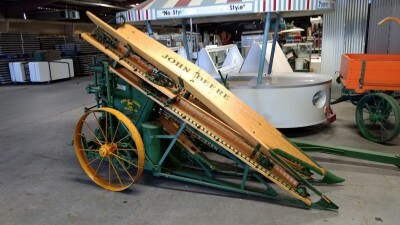 Two of these pieces are a Corn Binder (John Deere) and a Manure Spreader (NEW HOPE), both wonderfully restored. There are 10 more pieces being added. The display should be ready for the 2018 season. The Museum docents are excited to add these items to the tour. Make your plans to visit! If you have a photo of this piece of equipment in use from your family, we’d love to see it and consider it for the Museum display. 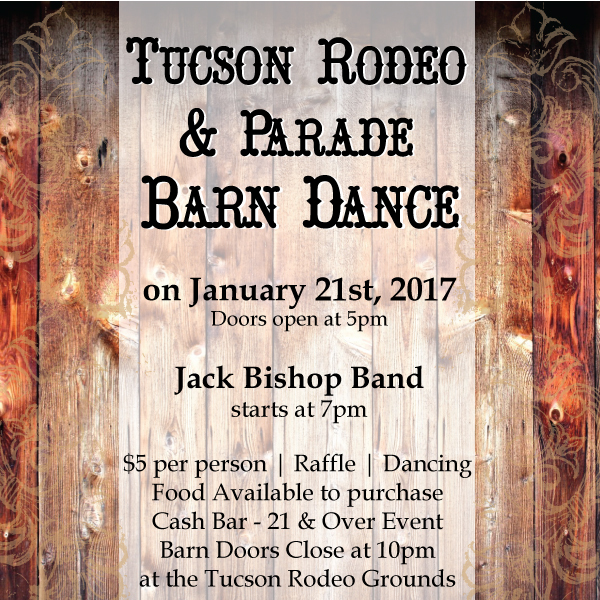 Come celebrate the KICK OFF of the 2017 Tucson Rodeo & Parade Season! Featuring Live Music from Jack Bishop, Food, Raffle and Cash Bar. No advance tickets, pay at the door!! Bring family, friends and relatives! 21& Over! If you want to invite your friends, share our facebook event. All are welcome! 2017’s theme focuses on the events that contributed to the growth of Tucson, and Southern Arizona, throughout the past centuries, and the continuing positive effects they’ve had on the present and future. 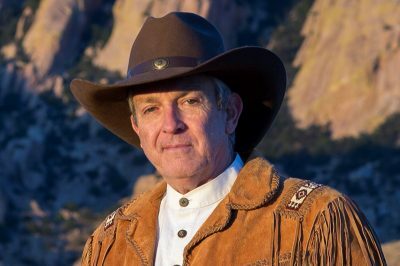 Video presentations trace the history of the Overland Mail Stagecoach route through Tucson that connected us to the east and west coast in the 1850s. Others present the importance of the Railroad in 1880 and the great aviation history in the early 20th century, and how these maintain an important part of today’s economy. 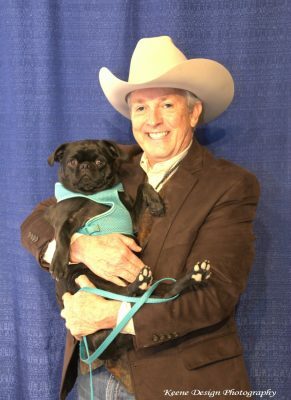 Another video highlights the history of the Rodeo Parade and Tucson Rodeo which were the foundations of Tucson’s tourist attractions in 1925. And there’s more. 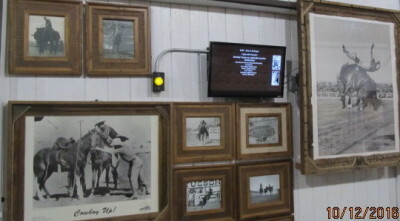 All of this is surrounded by the terrific collection of over 100 horse-drawn vehicles from days gone by, which is why the PBS ‘ANTIQUES ROADSHOW’ featured this museum in its presentation in 2007. The Museum opens Jan 2, 2017 and closes April 8, 2017*. Hours are 9:30 am – 3:30pm, Monday thru Saturday. Closed: SUNDAYS & HOLIDAYS. Adults: $10.00, Seniors: $7.00, Children: $2.00 and Military (and family) with ID, 50% discount. Tucson FUN BOOKS (Passports) are welcome here and are available for your purchase. 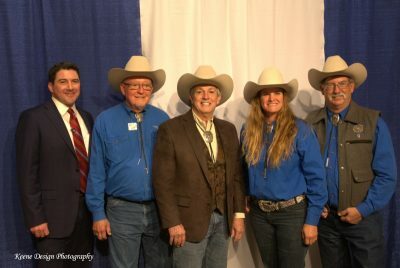 *Rodeo week Museum Dates & Hours: Feb. 18-22: 10:00AM -1:00 PM; Feb. 23 – Closed for Parade; Feb. 24-26: 10:00AM – 1:00PM, Monday Feb. 27 – Closed. Re-Opens Feb 28, 2017 (Regular Hours). 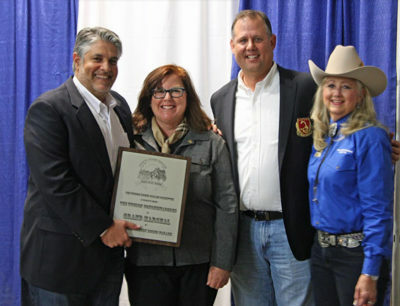 Don’t forget the 92nd TUCSON RODEO PARADE, February 23, 2017. Grandstand tickets are available at trpc@MSN.com. Or by calling 520-294-1280.